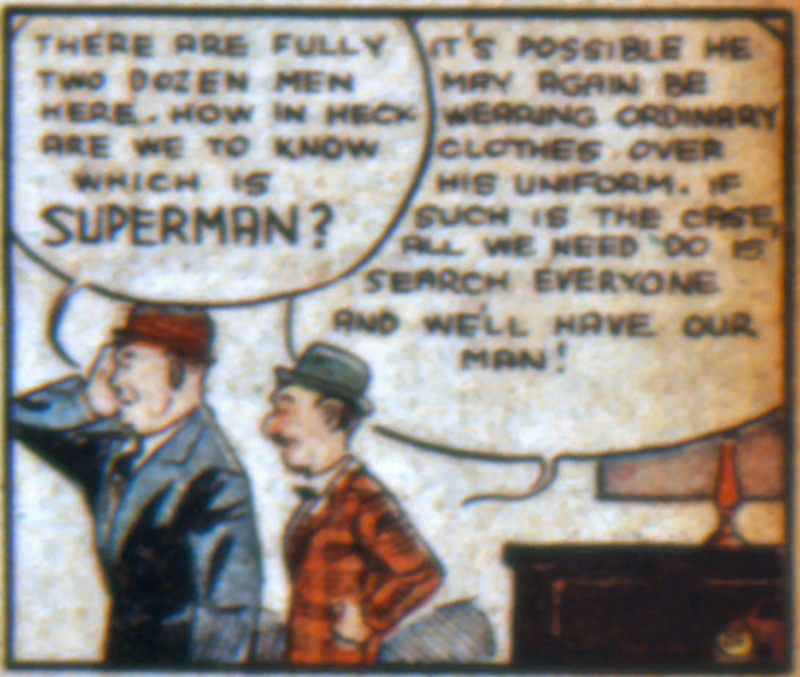 The idea that Superman may be hiding in plain sight as a regular guy is voiced for the first time in Action Comics #9, January 1939. I like how Jerry Siegel seems to be building this world that Superman inhabits month-by-month, even if the story ideas themselves are sometimes a bit ludicrous. I also love the joy that Superman seems to be having in pulling the wool over everyone’s eyes (especially Lois’). The first Superman newspaper strip from 1939. It is in the newspaper strip that the Superman mythos begins to take further shape, naming his home world, describing the death of the planet and the efforts of his scientist father.